Are you looking for car trailer parts? KDST does car trailer parts too. Car trailer parts whilst not popular in India are sold in myriad countries. 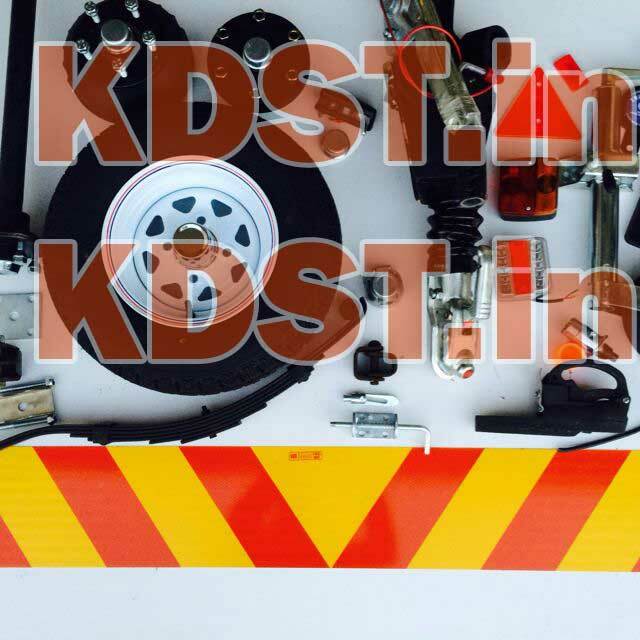 KDST is specialist in car trailer parts and we can supply almost any part in any quantity to any country in the world. We have been doing so from the past many years and have many happy car trailer parts customers throughout the world. Here is our exhaustive list of car trailer parts. Our car trailer parts can be used for making a new trailer or for repairing an existing trailer. All parts sold by us are new and manufacture or procured according to OEM specifications. Our main parts list includes hub, leaf springs, bearings, oil seals, grese cap a k a hub caps, jockey wheels, couplers and more. Our adr-1, adr-2 and adr-3 hubs are very popular and so are the bearings that are used in car trailers. We understand that there is stiff competition and we have priced them very competitively. Our managers are ready to sit down with you to get the prices you want – trust us, we will love to do business with you.